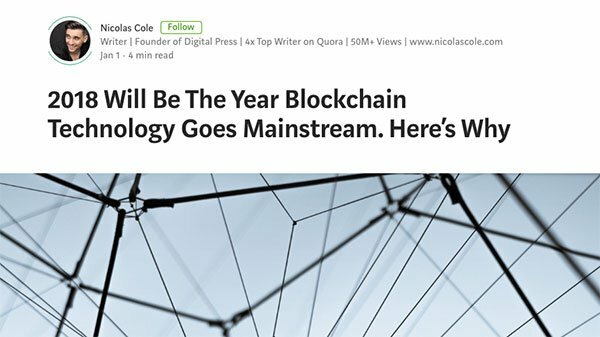 If the past 12 months have taught us anything, it’s that blockchain has now well and truly penetrated the mainstream. While it is usually associated with cryptocurrency, blockchain technology’s potentially game-changing applications go much further than as a means to trade in Bitcoin. The distributed, decentralised electronic ledger can be used to underpin everything from billing systems and digital contracts to supply chains and public records, with heightened security and transparency being some of its key advantages. ASX companies with leverage to the disruptive technology have been on ascendant trajectories over the last year. Take, for example, tech stocks like DigitalX (ASX:DCC), First Growth Funds (ASX:FGF) and Transcendence Technologies (ASX:TTL), whose shareholders have been all seen uplifts on the back of the blockchain boom. Today’s ASX tech junior, the IOT Group (ASX:IOT), is the latest to join the burgeoning blockchain gang as it looks to combine blockchain innovation with another high performance tech sector in which it’s already extremely fluent: the IoT (Internet of Things) space. When leveraged at the same time, IoT and blockchain technologies can provide especially potent results. As revealed today, IOT Group has taken a major step forward in its blockchain ambitions, penning a pivotal deal with Hunter Energy as the host of its new blockchain operations. Hunter Energy is working to recommission Australia’s newest power station: the 150 megawatt Redbank power station. Importantly, this development will make IOT Group the first in Australia to situate its blockchain equipment and infrastructure at a power station’s energy source, and to offer pre-grid cost effective power prices to blockchain operators. Subject to the successful completion of the transaction, Hunter Energy will provide a direct feed to IOT Group Blockchain, including the delivery of power at wholesale pricing and provision of space to locate its Blockchain Applications Complex (BAC) directly behind the grid at the power station. Hunter Energy expects to commence generation in Q1 2019. Moreover, given that much of the costs associated with power are centred on transmission, this strategic location of the IOT Group BAC will render these kinds of costs irrelevant, making Australia an extremely competitive location for blockchain operations around the world. IOT Group is rapidly cultivating a world-class blockchain advisory board to work alongside the Hunter Energy team over the next 12 months in developing this unique facility, which will be the largest blockchain operator and data complex in Australia. The ASX small-cap has already appointed three industry specialists with expansive global connections to ensure that the smooth sailing of its new blockchain business. 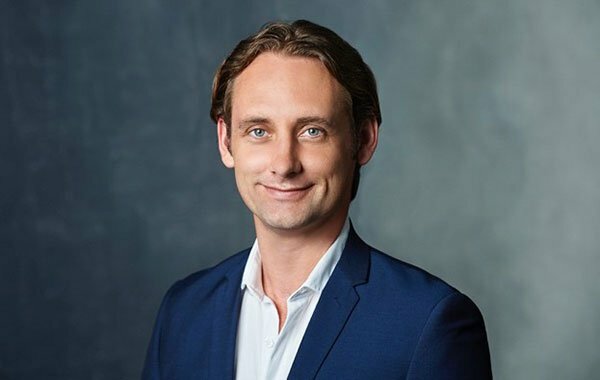 The first of these is chairman, Adam Ritchie, who brings with him strong links to tech ventures out of Asia, USA, Canada and Europe seeking opportunities in the Australian market and the Asia Pacific region. 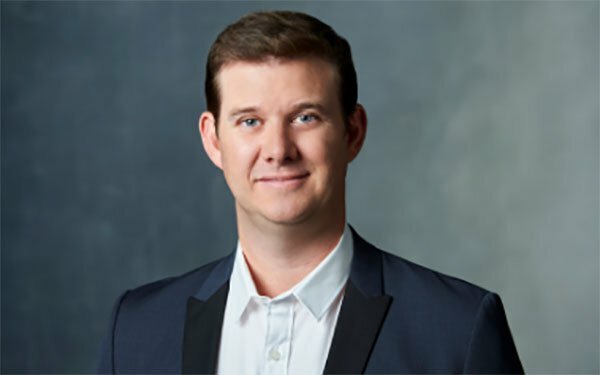 Alongside Ritchie are two seasoned crypto miners, advisors and investors with deep blockchain experience: Chadd Burgess and Wooyoung Joo. This newly appointed trio will deploy Australia’s first BAC, which will facilitate multiple commercial and research based blockchain applications. 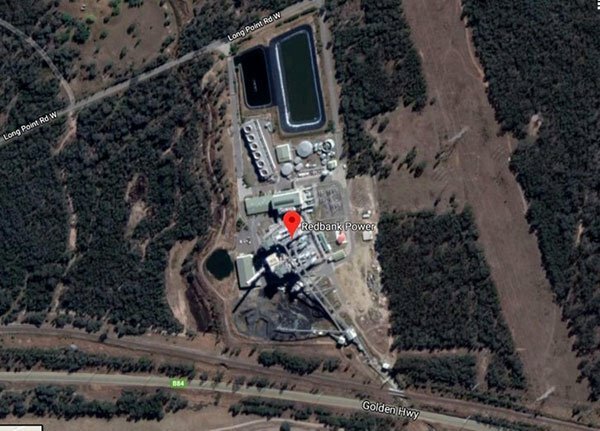 The trio is also currently negotiating with a major data complex builder/developer and service provider to co-locate a data complex at the Hunter Valley site, and is further negotiating with suppliers to deploy Australia’s first BAC to facilitate various blockchain-based applications at the power station (if and when the plant is recommissioned). All in all, IOT Group has set its sights on a game-changing — and highly lucrative — tech corridor, and has made swift progress in a short space of time. IOT Group is also strategically homing in on a pair of swiftly growing markets here. Consider that the global blockchain market is expected to grow from US$412 million (A$534M) in 2017 to US$7.68 billion (A$9.97B) by 2022. On top of that, the global IoT market, which IOT Group has firmly had in its sights since its inception, is set to grow from US$157 billion (A$203B) in 2016 to $457 billion (A$593B) by 2020. IOT Group is currently valued by the market at a tiny A$3 million, and this is really only the beginning of its blockchain journey. This fast-moving ASX junior could therefore be a salient entry point into an explosive tech corridor that’s only going to keep on rapidly expanding. The IOT Group (ASX:IOT) is diversifying its business lines with a keen eye on major market-disrupting technologies. IOT Group is one of several future-focused tech innovators to quickly recognise that blockchain technology, with its ability to disrupt both the tech and financial ecosystems, is a major boom... for both investors and consumers alike. A company that’s certainly no newcomer to the development and application of cutting-edge technologies, IOT Group has seen the writing on the wall and has moved quickly to build up its stake in this multi-billion-dollar market. For those of you who are new to the blockchain story, a blockchain is a type of shared digital ledger that uses encryption to store permanent, tamper-proof records of transaction data. The data is stored via a peer-to-peer network using a ‘consensus’ principle to validate each transaction. Once a transaction is made, it is instantly known by the peer group, and can no longer be changed, becoming part of the permanent record of network transactions, which make up the blockchain. For an idea of how leverage to blockchain technology can accelerate rapid growth, it’s worth taking a brief look at another ASX tech stock, DigitalX (ASX:DCC), whose movement we’ve tracked extensively here at the Next Tech Stock. Consider also that when DCC first came onto our radar back in 2016, its market cap sat at a mere $12 million. Today, this blockchain forerunner is now at $102 million, and is quickly expanding. As we’ve mentioned, IOT Group is in the early days of its blockchain trajectory — it’s really only just warming up, and it’s currently valued by the market at a mere $3 million. With solid progress made so far in securing for itself a piece of this multi-million-dollar blockchain puzzle, IOT Group is hoping for a similar ascent. 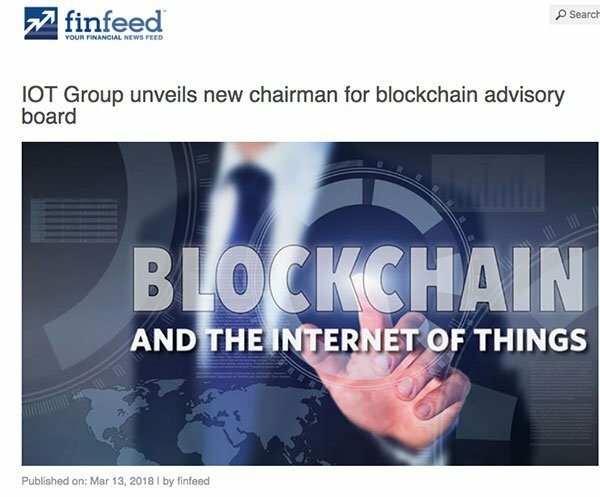 IOT Group has rapidly assembled three key blockchain experts for its advisory board, who will be pivotal in advancing its new IOT Group Blockchain business. Ritchie has expansive experience in power and utility engineering, large-scale project execution, and development of disruptive technologies. Mere days after revealing its appointment of Ritchie, IOT unveiled two additional members to this fast-growing team: Chadd Burgess and Wooyoung Joo. Burgess is the portfolio manager for Digital Capital Management (DCM), and has over 15 years’ experience in investment management, hedge funds and business. He was an early adopter and miner of major cryptocurrencies, including Bitcoin and Ethereum. He’s also held an ICO advisory role and provided ‘tokenomics’ to numerous ICO start-ups and ICO consultancies. Meanwhile, Joo is also a deft hand in crypto mining and investment, and has experience handling transactions and investments in the blockchain start-up scene. In short, these are precisely the kinds of globally connected experts you’d want guiding your way if you were in the throes of building a new dynamic blockchain business, and wanted to do it ahead of the pack. The mission of this newly created IOT Group blockchain advisory board is to work with the Hunter Energy team over the next 12 months to develop the largest blockchain operator and data complex in Australia, with the view to attract local and overseas blockchain operations. Of course how much these operations IOT Group could pick up remains to be seen, so investors should take all publicly available information into account before taking a cautious approach to their investment decision. As we touched on earlier, IOT Group Blockchain has clinched an exclusive binding agreement to collaborate with Hunter Energy to host its blockchain operations at Redbank, Australia’s newest power station, located in the Hunter valley just two hours from Sydney. Hunter Energy is currently recommissioning the 150 megawatt Redbank power station, with future plans to transition from a coal operation to a reduced emission environment. Hunter Energy is targeting the first quarter of 2019 for kicking off generation. This deftly engineered deal would make IOT Group Blockchain the first in Australia to locate its blockchain equipment and infrastructure directly at a power station energy source. It’s also important to note that this will be giving Australian blockchain operators power at cost. A large portion of the cost of power derives from the additional charges and costs associated with power transmission — through grids, poles and wires. Existing power costs have made Australia prohibitive on account of its high energy demands... until now. By situating the BAC behind the grid directly at the power station, Australian blockchain operators will now be able to obtain cost-effective power — often at a quarter of the costs to the consumer. This will therefore make Australia extremely competitive for global blockchain operators. Redbank is one of the newest coal power stations within Australia, and has an expected economic life of at least another 50 years. The BAC itself will facilitate numerous commercial and research based blockchain applications. The proposed BAC will also create employment and technical development in the Hunter Valley region. IOT’s vision is to create Australia’s billion dollar ‘Blockchain Valley’, much like Silicon Valley in San Francisco where like-minded experts can cultivate new and innovative technologies, applications and businesses in a cost-effective space. Currently, IOT Group is in the process of aggressively securing key industry partnerships with global leaders in component sourcing and supply. These kinds of critical partnerships offer strategic benefits in securing sourcing agreements with longstanding reputable suppliers to minimise financial transaction uncertainty and risk of supply shortages, as well as gaining early access to the latest hardware pre-releases suited to blockchain based-applications. IOT Group has already been engaged with several civil and data centre deployment companies to tender for the BAC, and is in the process of assessing preliminary designs and deployment times. Desktop studies also currently afoot with a leading network provider to organise reliable network connectivity to the site. To further diversify the site’s potential, IOT Group is also in negotiation with major data centre service providers for a joint build and co-location venture. This, in turn, ties in with current government support for data centre deployment in NSW, offsets substantial capex investments for IOT Group, and reduces build risk by partnering with experienced data centre providers. All in all, IOT Group is working expediently towards establishing its blockchain business, and it’s carefully chosen the right location — and the right people — for it. It’s clear that blockchain carries immense potential as a game-changing technology, and that its uses extend well beyond cryptocurrencies like Bitcoin. But what happens when you marry blockchain to another transformative tech space: IoT? As this Networkworld article explains, while you wouldn’t necessarily connect the two at a glance, IoT and blockchain technologies are able to provide especially efficient, powerful results when leveraged at the same time. The biggest connection centres around security issues – blockchain is a powerful way to bring scalable, decentralised security and trust to IoT devices, applications and platforms. Specifically, blockchain can support IoT identity and discovery, facilitate micro-transactions and establish proof of payment among IoT devices. The meeting of IoT with blockchain can also facilitate trust building, cost reduction, and accelerated data exchange. Given these kinds of benefits, then, IOT Group is strategically leveraging a powerful combination in developing its new blockchain business. 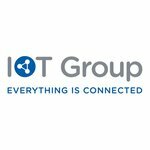 IOT Group already has well-honed muscle in the IoT space, and has now assembled some serious blockchain brains by way of its aforementioned advisory board, so it’s in an impeccable position to zero in on these twinned tech spaces for maximum effect. Part of that effect could have serious economic benefits for the Hunter Valley including new housing, restaurants and employment. Overall, IOT Group will build a two hectare commercial premises facility to house blockchain data centres leading to all of the above advantages. Furthermore, the average consumer pays around 28 cents per kilowatt hour. With what IOT Group is doing its pre grid is 8 cents and will be 5 cents during the evening. So as you can see, there are significant benefits. It also bears repeating at this point that the blockchain and IoT markets are set for more in the way of swift growth. Specifically, the global blockchain market is forecast to grow from US$412 million in 2017 to US$7,684 million over the next four years. Combine that with the heft of the global IoT market, which is expected to be worth ~US$457 billion by 2020 and it is clear IOT Group is aiming high. However, IOT Group remains a speculative stock and investors should seek professional financial advice before making an investment decision. These are early days for the $3 million-capped IOT Group, with its blockchain story only just beginning. Yet with leverage to two of the most explosive technologies in the world, a team of seasoned industry figures, and a keen future focus, it’s well and truly moving in the right direction. We’ve been tracking this ASX small-cap tech story closely for some time, and have watched it steadily emerge as a major player in the IoT scene. If IOT Group plays its cards right in the blockchain game, this tech innovator could be looking at some serious gains, and we can’t wait to see what it does next. S3 Consortium Pty Ltd does and seeks to do business with companies featured in its articles. As a result, investors should be aware that the Firm may have a conflict of interest that could affect the objectivity of this article. Investors should consider this article as only a single factor in making any investment decision. The publishers of this article also wish to disclose that they may hold this product in their portfolios and that any decision to purchase this product should be done so after the purchaser has made their own inquires as to the validity of any information in this article.